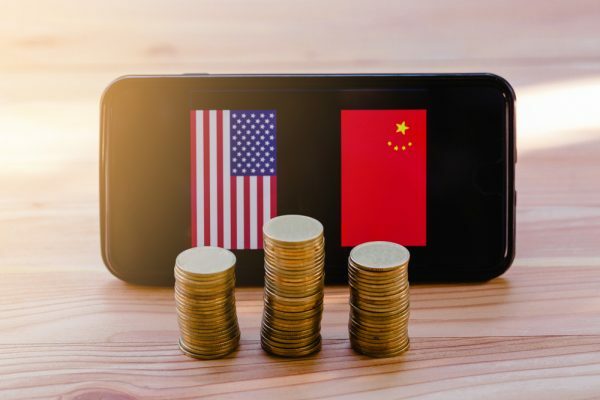 Markets breathed a collective sigh of relief on Friday as both China data and the first of the US bank earnings came out firmly in the green. China trade data recovered with the trade surplus surging to USD32.64 billion and the street ignoring collapsing imports, and new loan growth held steady at +13.7%. Over on Wall Street, JP Morgan and Wells Fargo both beat expectations and Disney jumped more than 11.0% to show that perhaps the recovery is not Mickey Mouse after all. Meanwhile, the S&P rose 0.7%, the Nasdaq was up 0.45%, and the Dow Jones jumped a very respectable 1.0%, driven by Disney. Bond yields in both Europe and the US continue to gently rise on the global recovery story with the inverted yield curve panic of recent times a distant short-term memory in the minds of traders. Over the weekend, Treasury Secretary Mnuchin made upbeat comments on progress with the US-China trade talks, and the joint World Bank/IMF conference also made optimistic noises on the state of the world economy. This should ensure Asia enjoys a positive start to the week, which will be a busy one both politically and from a data perspective. Asia’s highlights occur on Wednesday with the China GDP and Indonesia going to the polls. Both have the potential to bring volatility to local markets. Japan and Singapore release trade data the same day, ensuring the midweek has a “Big Wednesday” look to it. The US dollar steadily lost ground against major currencies on Friday as risk sentiment improved following China’s trade balance data. The euro (EUR) led the charge higher, rising to 1.1300 on alleged M&A flows. The single currency was given an additional lift as Wall Street’s positive earnings began to hit the wires, also flowing through to China high-beta currencies such as the Australian and New Zealand dollars – the antipodeans both recorded 50-point rises. With no negative news to deflate Friday’s positive outlook, we expect Asian currencies to get off to a positive start today with only second-tier Indonesia and India data to light up the tickers this afternoon. The positive risk environment flowing on from Wall Street on Friday should ensure Asia’s stock markets all track higher as the week starts. Indonesian election nerves will likely limit gains in Jakarta, but the other markets should have a clear runway. The US reporting season turns into a daily deluge this week with rafts of heavyweights from different sectors reporting each day, which should keep Wall Street honest (readers may debate this possibility). The global growth story, worries about the deteriorating situation in Libya and consequent potential production loss inevitably flowed into oil prices on Friday. Brent crude rose 0.9% to USD71.50 a barrel, while WTI jumped 0.3% to 463.80 a barrel. The rise in prices was muted by oil’s recent standards, reflecting the extremely overbought technical picture, and the fact that a lot of good news has been pumped into prices. Winter is coming to HBO this morning, and it may also be coming to oil prices in the not-too-distant future. Gold fell slightly to USD1,290.00 an ounce on Friday, supported by a weaker dollar but capped by rising equities and bond yields. The best that can be said is at least the yellow metal held its own following its fall from grace last Thursday. The USD1,280.00 region remains the critical longer-term support.